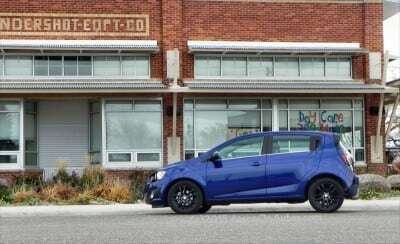 When the 2014 Chevrolet Sonic first arrived in my driveway for a week-long test, I said something along the lines of “Oh great, a shoebox with wheels.” This is the term I use for this box-style of small vehicle. They are growing in popularity and are usually marked by two features: entry and egress that requires yoga training and a complete lack of fun factor and power output. In the case of the 2014 Sonic, however, neither of those is true. 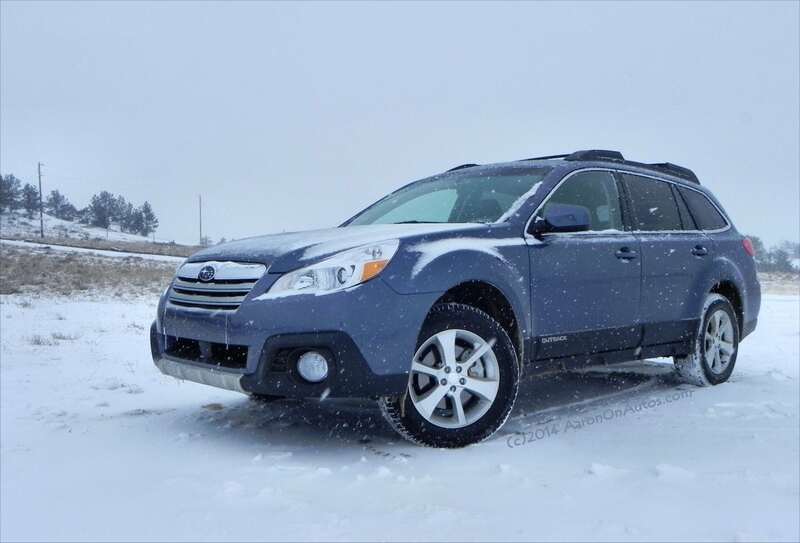 It’s a fun, peppy, and remarkably user-friendly vehicle. Vehicles like the 2014 Chevrolet Sonic 5-door are called “Kei” vehicles in Japan, which probably translates to something like “teeny, tiny, four-door” or maybe just “shoebox.” There are several entries in this emerging category here in the States and Chevrolet has tried to successfully introduce one here for years. The Sonic basically replaces the unremarkable, forgettable and badly-named Aveo (Latin for “desire”) which itself was a sort of re-surface of the laughable Geo Metro. The good news here is that with the new Sonic, Chevrolet has finally hit the gong to get the correct tone and the Japanese Kai machines are finally Americanized enough to be acceptable here thanks in no small part to GM’s efforts. 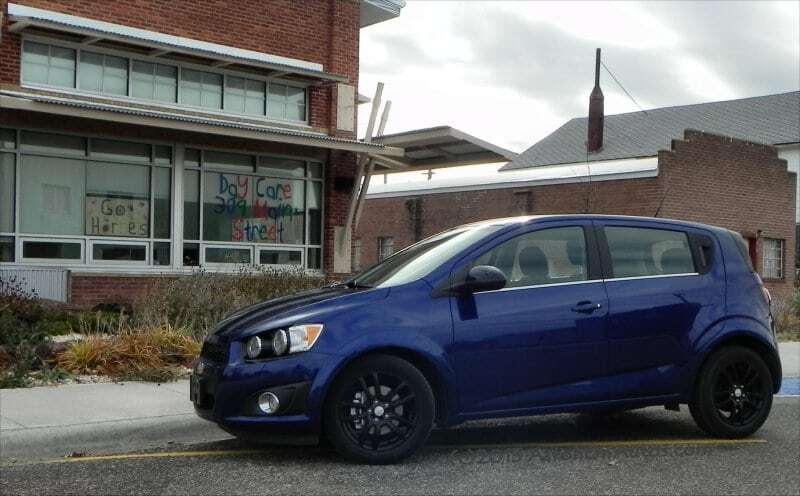 The 2014 Chevrolet Sonic is a well-done, surprisingly fun to drive little car that won’t cause long-term knee damage to those who use them daily. 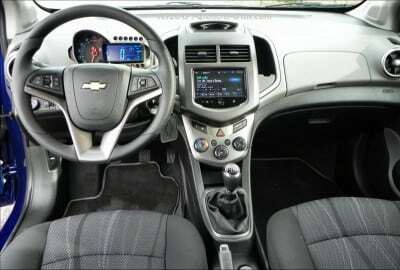 The 2014 Sonic drives well, is relatively comfortable, is surprisingly sporty for its engine size, and has just the right amount of ergonomics to make it a pleasant daily driver without getting too expensive. In this five-door configuration, the Sonic has a basic box shape which is offset by a low hood and steep windscreen angle to create a more car-like appeal while the slightly tapering roofline gives a hint of fastback ending with a small spoiler for a sporty effect. Lines along the car, including the beltline and lower cuts in the door, accentuate this low-front look and the wheels are flung far out to the corners to denote its sporty nature. Round, unguarded headlights, chrome accents, and hidden door handles for the rear doors create a two-door sports car appeal. 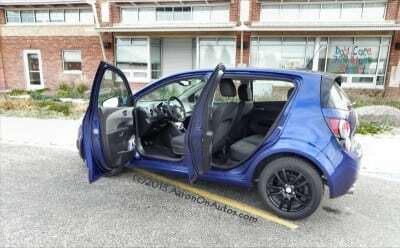 Within the design limits of this car’s class, it is nicely built and looks better than many, removing that boxy look most five-doors in this subcompact class flaunt. In our test vehicle, the wheels were upgraded to the beautiful thin-spoked pattern in black seen here, which matches the pillars and trim, which is another addition to the car’s package. Combined, these come in at about $1,700 in total and add a lot of bling to the car’s look. 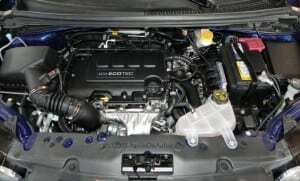 Upgrading to the Ecotech Turbo engine added another $700 to the base tag of $16,380. The rest of the additions to our test vehicle were technology package options, including MyLink and a rear camera. Inside the 2014 Sonic is a well-designed interior that is roomier than might be expected and that is replete with cubbies, storage spots, and well-considered controls and surfaces. The doors open wide to allow easy entry and though the back seats are cramped for adults, if everyone involved is of normal size (including the driver), there is ample room for up to five people to cram in there. Given the target market (teenagers and 20-somethings), this is plenty of space for runs around the city and quick trips on nights out. 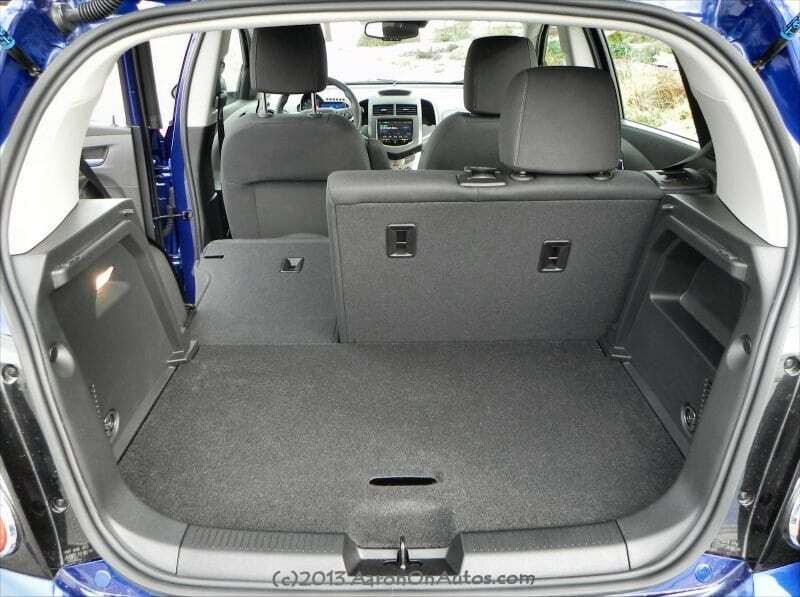 Cargo room is sized well for the segment with enough space for a suitcase, some carry-ons, a week’s groceries, etc. 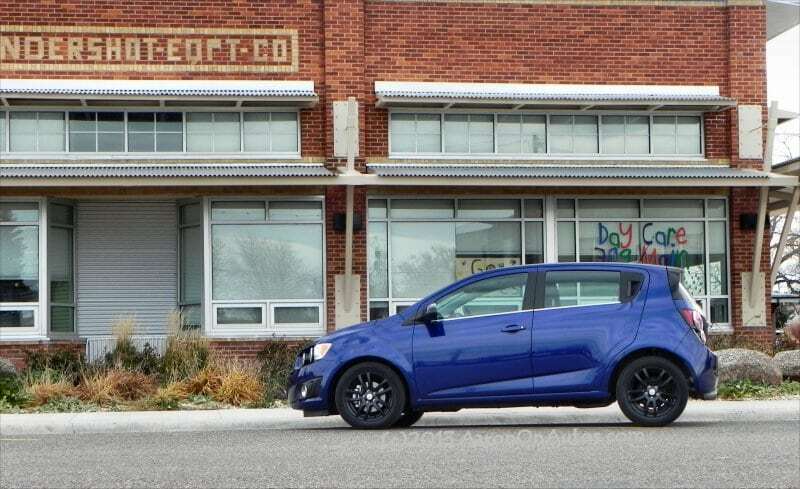 The Chevy Sonic does not come with a spare tire except as an option, so the space under the rear cargo pan that would normally hold one can be opened for additional storage. The rear seats are a 60/40 split-fold and are easy to drop down to add to the cargo space when needed. The cargo cover (standard on the LT package) is easy to quickly lift out as well. Ergonomics for the driver are excellent for such a small car. Controls are easy to access, the dashboard (see video below) is easy to understand, and everything is within easy reach and buttons/knobs are large enough to be easily manipulated even by a Sasquatch like myself. Under the hood of our test vehicle was the optional 1.4-liter Ecotec turbo engine. This is a dual overhead cam (DOHC), variable valve timed (VVT), four-cylinder engine that puts out plenty of umph for most drivers. 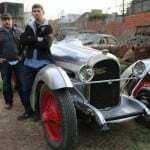 It runs through a six-speed manual transmission or an optional five-speed automatic. Our drive of the manual trans proved it to be easy to operate and it adds a huge amount of sport and fun to the experience behind the wheel. In the subcompact class, the low cost of the vehicles often means that several driving details get skimped on. In the Sonic, this is generally not the case. 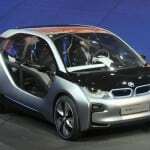 It rides comfortably on the freeway in comparison to others in the segment, holds freeway speeds (75 mph) at low RPM (2,200), keeping engine noise down, and has far less road noise than most compacts do. 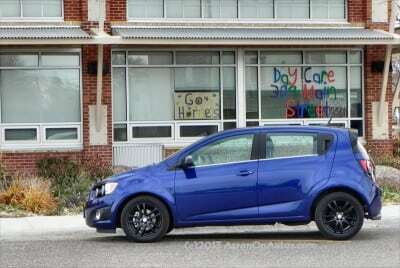 Seating in the 2014 Chevrolet Sonic is basic, but comfortable and functional. The LT package includes four-way manual adjustment for the driver and two-way manual adjustment for the passenger bucket. A tiny armrest on the driver’s seat is a sort of afterthought, but smaller drivers may find it helpful. 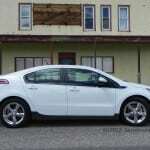 Power windows, air conditioning, power door locks, and other accessories are also standard with the LT package. Key competition for the 2014 Chevrolet Sonic 5DR LT includes the Kia Rio/Hyundai Accent, Ford Fiesta, and Honda Fit. 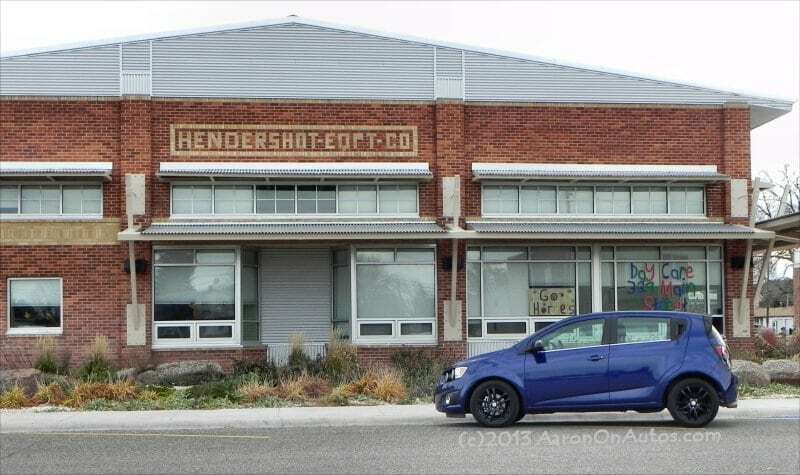 The Fiesta has a nicer ride, but sacrifices some interior space for that while the Kia’s main competitive edge is lost with Chevy’s new 5 year/100,000 mile warranty and 2 years of scheduled maintenance included with purchase of the Sonic. The Fit is a more versatile car with better options and a high reputation for being reliable. 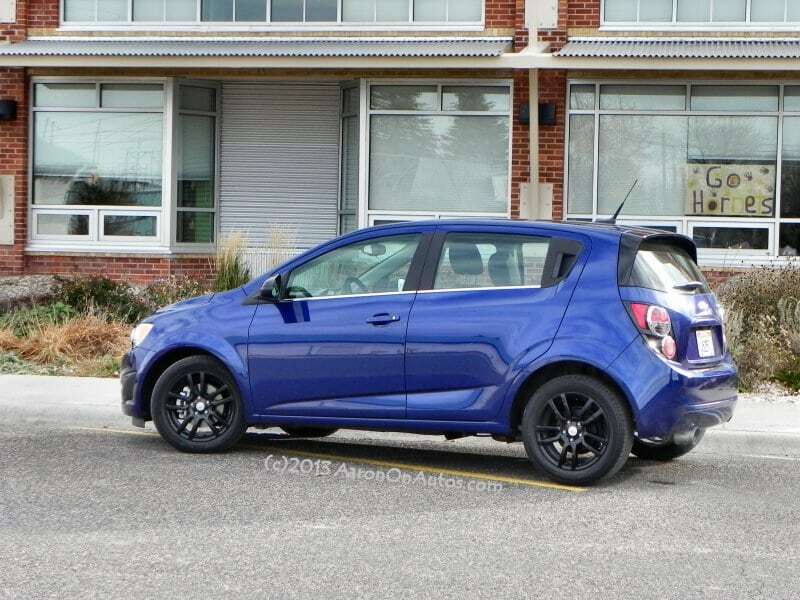 The segment is very competitive and the 2014 Sonic is a good contender in it, being a nicely-rounded option in the lineup, though it is relatively new and the base engine (non-Ecotec) is underperforming in comparison to nearly all of these others. Very fun and exciting little car to drive. It will definitely surprise most. 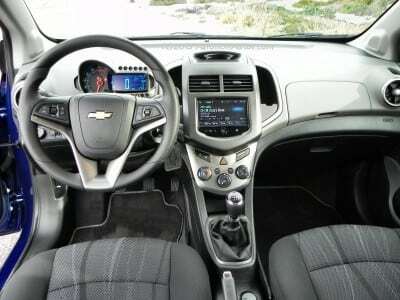 Ergonomic and user-friendly interior layout with more space and an easier drive than expected. Fuel economy is weak. At 40 mpg on the highway, as tested, the Sonic is good, but not great considering its size. Many of its peers offer higher economy. 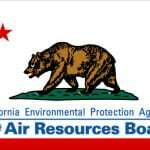 Factory-installed windshield wipers are loud and should be replaced with softer rubber. 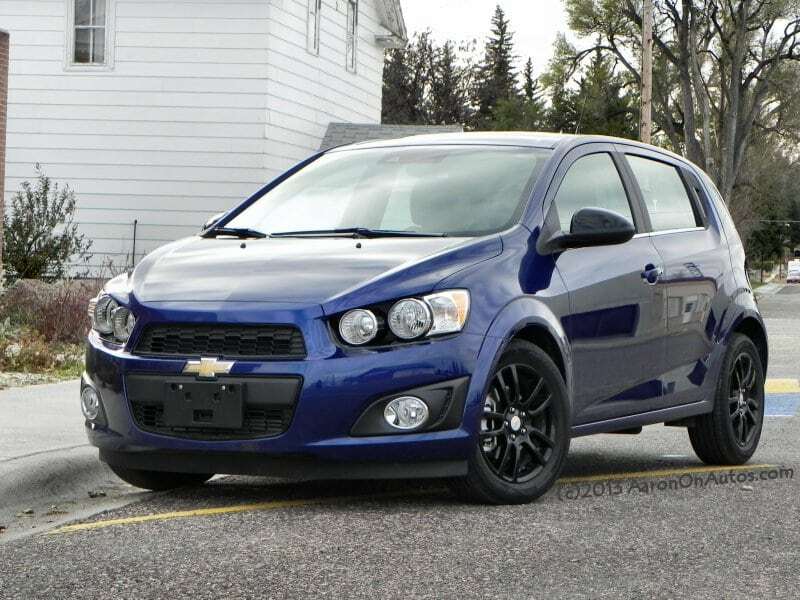 The 2014 Chevrolet Sonic 5DR LT is an excellent re-entry into the subcompact market by GM. Unlike its predecessor, the Aveo, the Sonic is a very well-designed and good performing vehicle with just enough spark and pizzazz to endear itself to buyers. Little things like the round insets in the side mirrors for better visibility, smart controls, the much-improved MyTouch system, and the ultra-tight steering radius thanks to the wheelbase are all things that add up to make for a well-designed subcompact hatch. The 2014 Sonic was driven as a manufacturer’s press loan for about a week in Southeastern Wyoming. Driving was in a combination of city/highway and freeway driving in weather conditions ranging from sunny to light frost and snowfall. A total of about 231 miles were put on the car.